1 That South Africa has penguins? 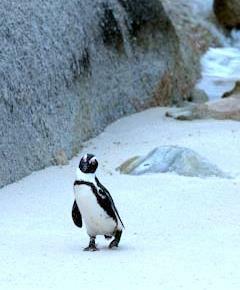 Boulders Beach in the Cape Peninsula, South Africa has about 3000 penguins which can be observed from close quarters! The first pair of penguins was brought here in 1982 and after that there has definitely been no looking back. Here’s a picture of one these intriguing creatures. 2 That you can pet Cheetahs in South Africa? Now we’ve always known South Africa is a treasure trove of wildlife. That’s no secret. But petting ? Near Cape Town, there is a place where you can pet and caress a cheetah for a small fee! 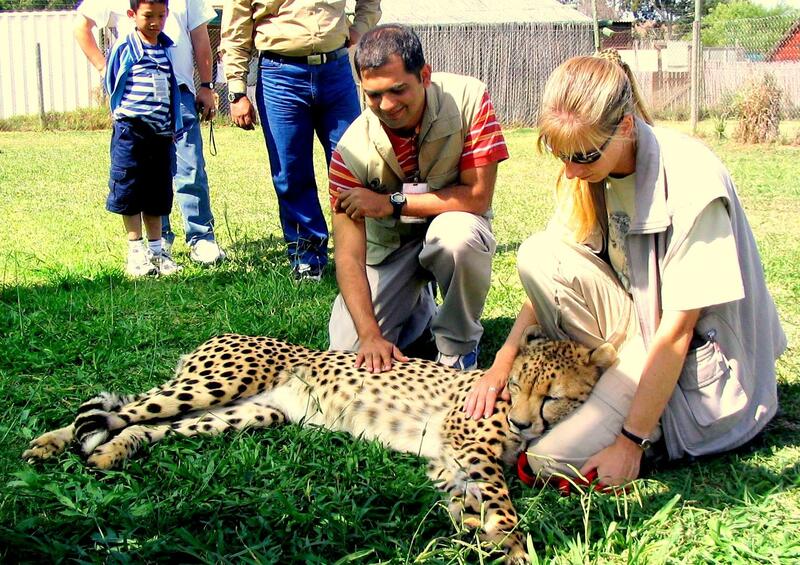 Here’s a picture of Namaste South Africa founder Subhash with a cheetah. 3 That South Africa’s premier city Cape Town has been rated the “World’s best city” by Telegraph? Yes, Cape Town is one of the most beautiful cities in the world. 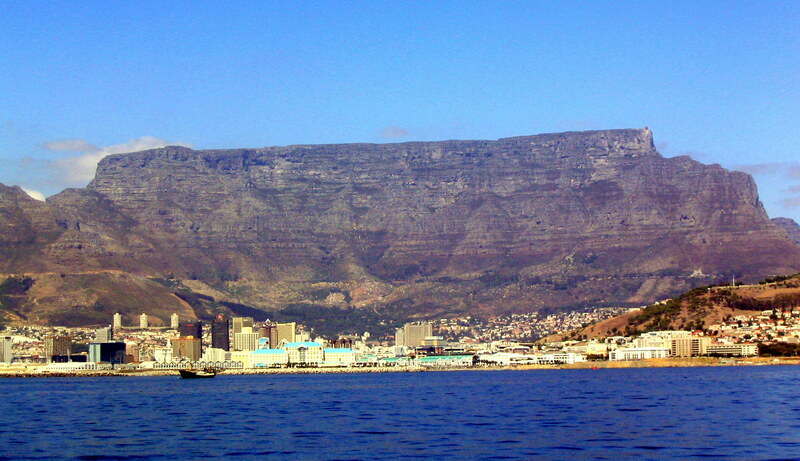 It has a table mountain right next to its stunning waterfront. But who would have expected it to beat Sydney and San Fransisco in the race for the “World’s Best City”? But that’s that! Acclaimed London Newspaper Telegraph says its the best. Here’s a picture of Cape Town’s Table Mountain. 4 That South Africa has the world’s best hotel? The Singita game reserve, near Kruger National Park, was voted the best hotel in the world by the readers of a leading travel magazine (Conde Nast Traveler). Cool! 5 That South Africa has a bar constructed right inside a tree? 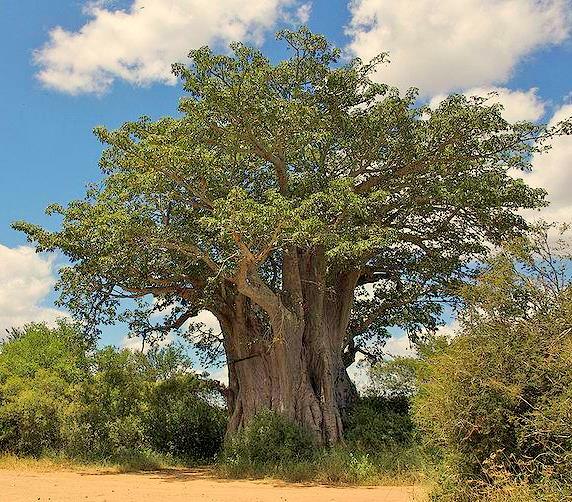 The Northern Province of South Africa is famous for baobab trees. And Tzaneen in this province has an entire bar located inside the tree. How does it feel inside this bar? I haven’t really been to that bar, but it must be fun! Here’s a baobab tree by the way.